WEDNESDAY, Oct. 12, 2016 (HealthDay News) -- Mammography screening is much more likely to find insignificant breast tumors than it is to catch potentially life-threatening cancer in its early stages, a new study claims. The study is the latest to question the value of routine mammography screening. But, the new research drew fire from critics who said the study methods were flawed, and they said the findings don't change the current guidelines on breast cancer screening. 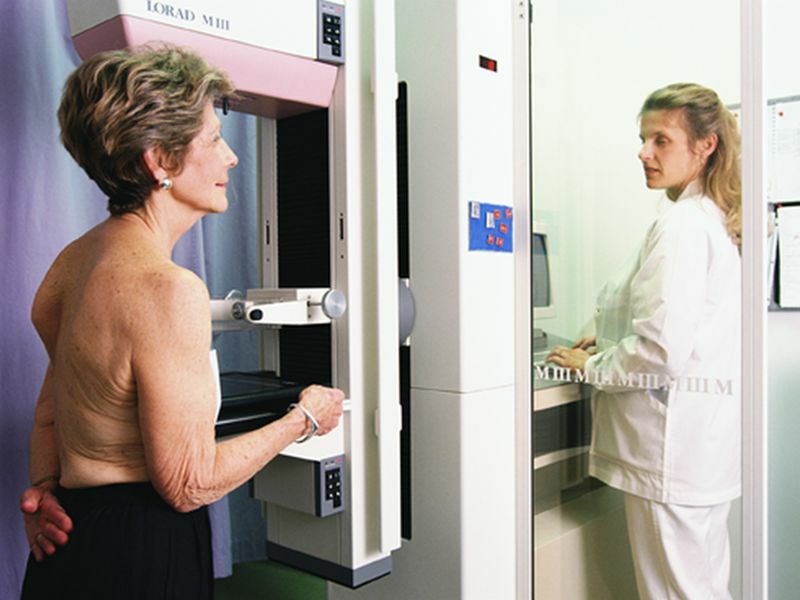 The study analyzed U.S. government cancer statistics to try to estimate how effective mammography screening has been since it came into widespread use in the 1980s. It concluded that the incidence of large breast tumors (2 centimeters or more) among U.S. women had declined. But, the researchers estimated that trend has been eclipsed by a much larger increase in the number of women diagnosed with small tumors. And most of those tumors would never have progressed to the point of threatening a woman's life, said lead researcher Dr. H. Gilbert Welch. He's from the Dartmouth Institute of Health Policy and Clinical Practice in Lebanon, N.H. The upshot, according to Welch, is that mammography is more likely to "overdiagnose" breast cancer than to catch more-aggressive tumors early. What's more, the researchers said that while breast cancer deaths have fallen since the 1970s, that is mainly due to better treatment -- not screening. Welch noted the current study's findings have nothing to do with women who feel a lump in the breast. "They need to get a mammogram," he stressed. But, Welch suggested, when it comes to routine screening, women can decide based on their personal values. Other cancer and radiology experts, however, were quick to point out flaws in the study and to defend current screening guidelines. "I don't think this will alter, in any way, the guidelines from major organizations," said Dr. Richard Wender, chief cancer control officer for the American Cancer Society (ACS). Wender encouraged women to "not lose confidence" in the recommendations from the ACS, U.S. Preventive Services Task Force, and other medical organizations. Each group differs slightly, Wender said, but all recommend that women begin mammography screening at some point between the ages of 40 and 50. "When we update those guidelines, it's based on all of the evidence we have from high-quality studies -- not just one study," Wender said. Mammography screening has been mired in controversy for years, as a number of studies have doubted whether the benefits outweigh the risks. The major risks are "overdiagnosis" and "overtreatment." Mammography detects small tumors -- including early tumors in the milk ducts, and the screening inevitably detects some tumors that aren't life-threatening. The problem, Welch said, is that doctors have no way of predicting which of those tiny tumors will progress and which will remain harmless. So most women get treatment -- with surgery, radiation and possibly hormone therapy. That means some women face "real harm," but no benefit, Welch pointed out. Everyone acknowledges that overdiagnosis happens, Wender said. However, this study cannot gauge the extent of overdiagnosis, or the value of mammography screening, he added. For one, it's a review of data from a cancer registry -- a "weak form of evidence," Wender said. "What's the highest-quality evidence?" he said. "Comparing a big group of women who've had mammograms with a big group who have not, and following them over years." Those types of studies have shown that women who undergo mammography screening have a lower risk of dying from breast cancer, Wender said. Dr. Kathryn Evers, director of mammography at Fox Chase Cancer Center in Philadelphia, made the same point. "Randomized controlled trials -- long considered the 'gold standard' for evaluating interventions -- have demonstrated that the use of screening mammography saves lives," she said. The current study took a different approach to scrutinizing mammography. The researchers analyzed information on tumor size for U.S. women aged 40 and up who were diagnosed with breast cancer between 1975 and 2012. Not surprisingly, the investigators found that the rate of small-tumor detection (smaller than 2 centimeters) rose substantially after mammography screening became routine. But, Welch said, if screening were working as hoped -- catching a lot of life-threatening cancers early -- there should have been a comparable drop in the diagnosis of large tumors. "That's not what happened," he said. There was a decline in large-tumor detection, but it was relatively small. The researchers estimated that screening caught an additional 162 small breast tumors for every 100,000 women, versus the pre-screening era. But only 30 of those 162 tumors would likely have grown larger, the researchers said. "Now here's the good news," Welch said. "Deaths from breast cancer have fallen by about one-third." But, he said, based on his team's estimates, most of the credit should go to treatment advances. Deaths have fallen regardless of breast tumor size, the findings showed. Welch acknowledged one limitation of the study. Researchers assumed that the true incidence of breast cancer in the United States has remained stable over the years -- and that any increases in diagnoses were the result of mammography screening. But according to the American College of Radiology (ACR), that's a false assumption. In a statement, the group pointed to evidence that the U.S. breast cancer rate has been rising each year for some time. Had that trend been taken into account, the ACR said, "the findings would have been vastly different -- showing no evidence of overdiagnosis and a marked decline in advanced cancers." The study was published Oct. 13 in the New England Journal of Medicine.